A church which has a stained glass window depicting British wild flowers should certainly have its grounds surveyed. And I have accepted a mission to be part of the team carrying out that investigation this spring and summer on behalf of Norfolk Wildlife Trust. 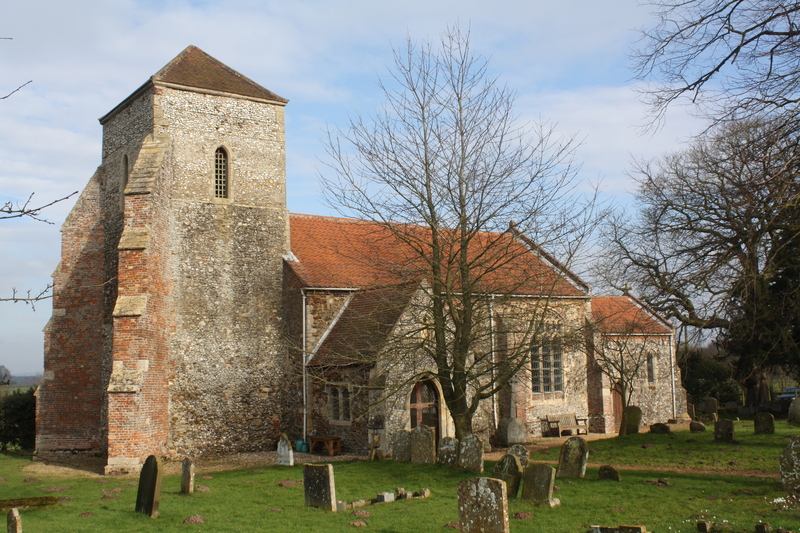 Ashwicken Church, which has its foundations in the 1300s, has never been considered in this way before. But now it has joined the wildlife trust scheme which aims to record and conserve wild plants in the county’s churchyards and wildlife sites. All Saints Church is small and neat and welcoming and stands in a small area of land in the Gaywood Valley about six miles from King’s Lynn. It is reached down a narrow, winding lane and is surrounded by fields and farms and, as a result, there is a large array of other wildlife in the vicinity. On our preliminary visit we were told of various owls, birds of prey, and hares. Also, an impressive starling murmuration has been seen nearby this season. This is my second attempt at being a volunteer plant surveyor with NWT. I still don’t feel at all confident about my botanical skills, but when I learnt I’d been attached to the team working at this site, I did some research on-line and thought it sounded like a place where I might encounter lots of new things and wildlife. And that assumption seemed right on my first visit. 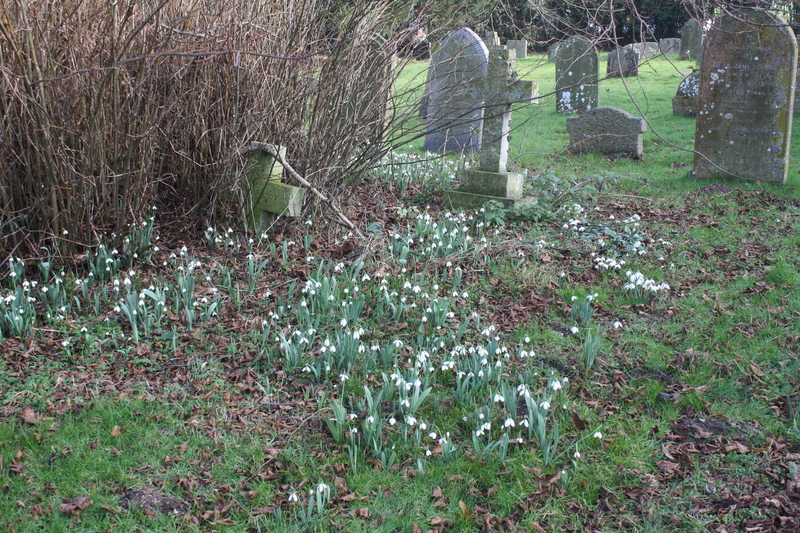 There was also a beautiful display of snowdrops and a few primroses were already open. That was very apt, for the plants illustrated on the special window for January and February are snowdrops and primroses respectively. The flowery window was installed in the west tower – the oldest part of the church – to mark the millennium and 2,000 years of Christianity. It was decided to feature wild flowers “to enhance our very rural ‘Church in the Fields'” it states on the church website. Each of the 12 panels of the window features a simple drawing of plants with a religious significance and is finished with muted, earthy colours which would have been used in mediaeval times. It features all our national floral symbols. Not surprisingly the window has become one of the most loved parts of the church. Stonecrop has covered this grave like a blanket. This grave is now a micro habitat for plants. I was intrigued to see how stonecrop had become established on graves at Ashwicken. I’ve seen something similar at Gayton Parish Church. We’ll have to wait and see what colour the flowers turn out to be before we can identify it properly. 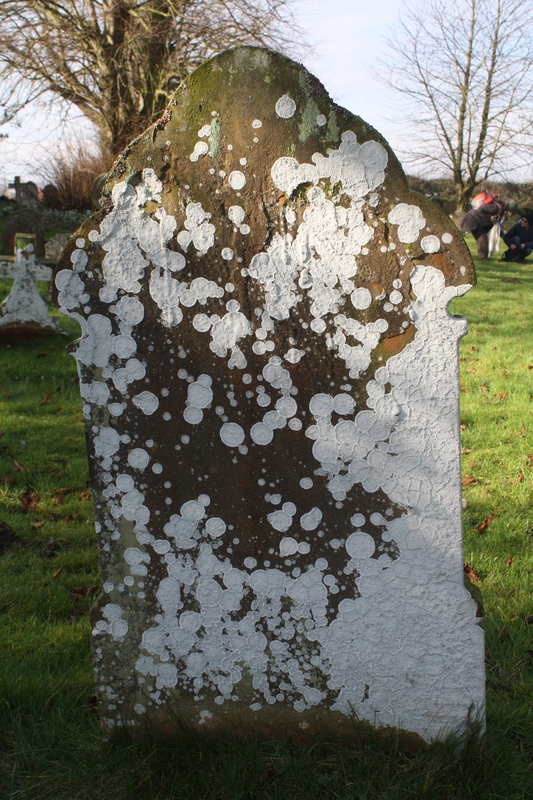 I found a very pretty, dainty moss, aptly named “swan’s neck moss” growing at the top of a gravestone, and there are various lichens. I’m told there may be wild daffodils, too, which I’d love to see. 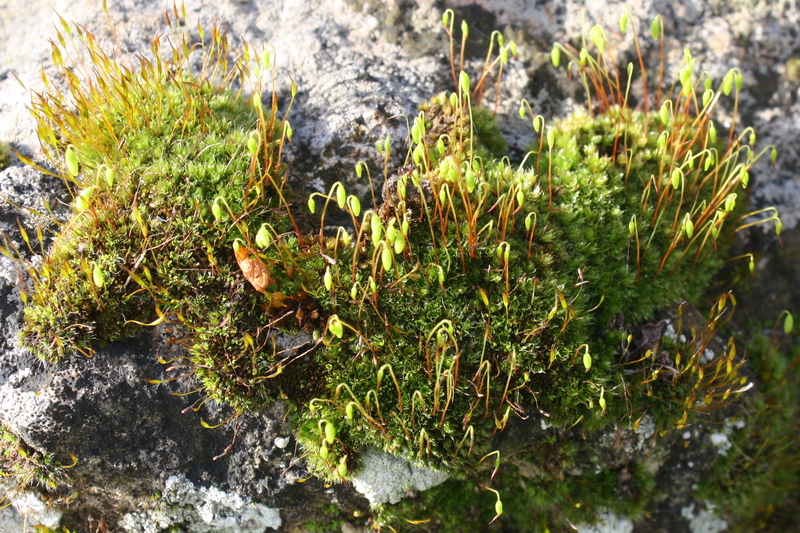 The dainty swan’s neck moss. I look forward to continuing, and hopefully improving, my wild plant identifying skills here over the coming months. And I have my fingers crossed for all the other wildlife which may come along as well! Last year, I worked with another team in Reffley Spring Wood, a county wildlife site, and learnt over the last few days that our survey has now been finalised by NWT in preparation for a management plan to be put together. I hope to keep tabs on this lovely wood too this year.